Three years. 36 months. 1,080 days. That’s how long these poor brothers have been looking for a forever home, and yet they still haven’t had a single application. 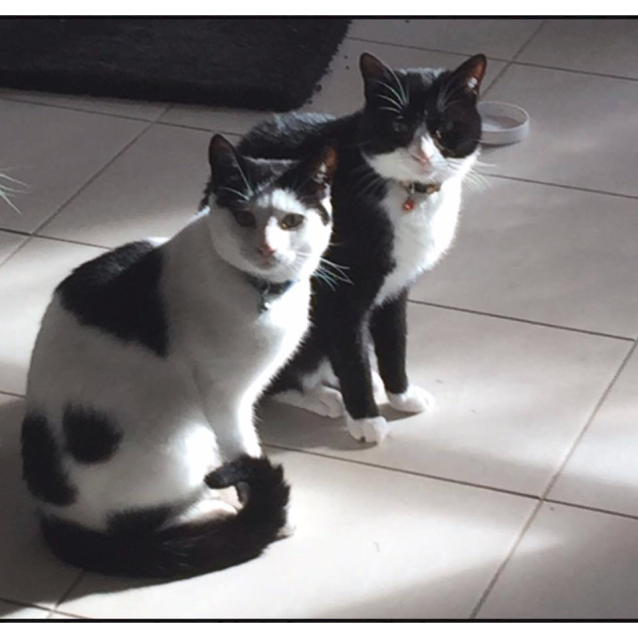 So here we are making a desperate plea to the people of Perth because surely someone can open their hearts and homes to these beautiful, quite boys. 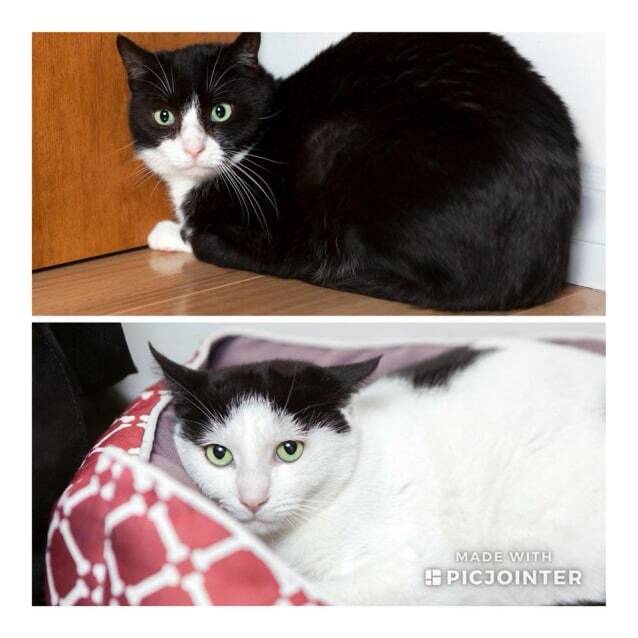 As you can see from the photos, Thomas and Felix have been with PRA since they were tiny kittens, but unfortunately they were too unwell to be adopted when they were young; and as we all know, adult cats are so often over looked, a bonded pair even more so. So we’ve had enough of the boys having to watch countless foster siblings get adopted and go to their furrever homes, while they are left waiting. Both boys are incredibly quiet and gentle souls who really just want to live a simple home life where they are able to set the pace. It takes time and patience for them to come out of their shell, but once they decide they can be themselves it is so rewarding to see them flourish. Once he’s feeling comfortable Thomas is an incredibly playful boy who loves any toy and will spend the evening doing zoomies down the hall, all while chirping away with the most unique sounds. He is also incredibly affectionate to other cats and has taken a number of kittens under his wing. He enjoys a tickle under the chin from trusted humans, and will just hang out on the desk or bookshelf to supervise his foster mums day to day activities. Felix is much more confident with people, but mostly because he knows they are the providers of food, which is the way to this boys heart. At dinner time he rubs all around his foster mums legs and is incredibly talkative with his meow which sounds like that of a kitten. He likes sleeps on the end of his foster mums bed most nights. 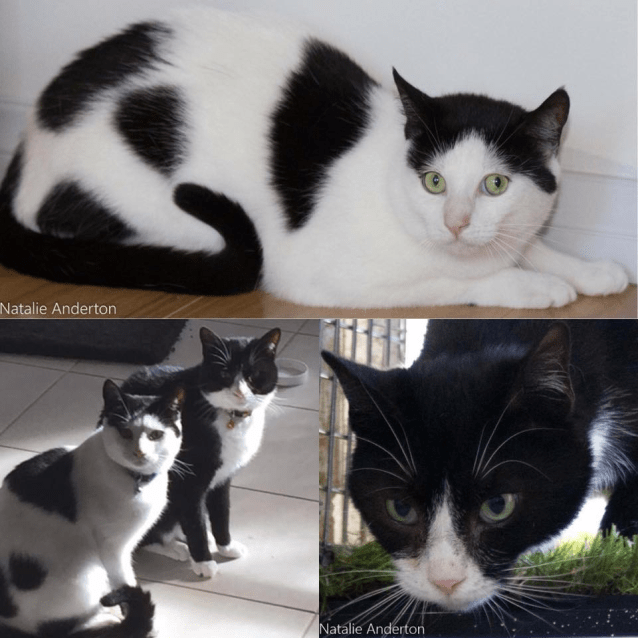 Both boys are great with other cats, and have spent a little bit of time living with dogs so could do so with slow introductions. They really don’t ask for much yet give so much love in return, in their own unique ways. So please help us on our mission to finally find these special boys their furrever home – share, comment, tag a friend, or maybe just give in and adopt them yourself! They have spent way to long waiting, so together let’s give these boys the chance they deserve. Medical Notes: Felix and Thomas had Calicivirus, which is a respiratory infection. They were treated for this and given the all clear by the vet.